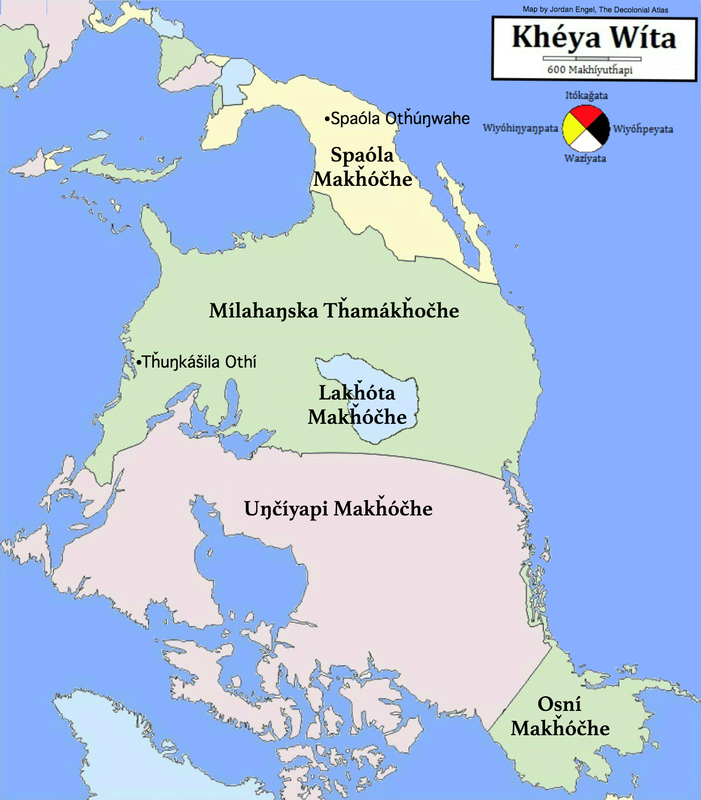 A map of Turtle Island from the perspective of Lakota. It depicts a map of North America as the treaty of 1851 depicted it. 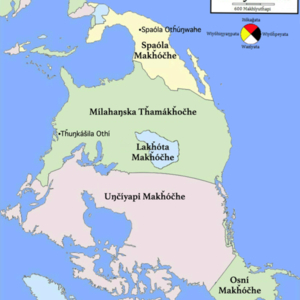 Jordan Engel, “Decolonial Atlas: Turtle Island ,” UVic Libraries Omeka Classic, accessed April 21, 2019, http://omeka.library.uvic.ca/items/show/1729.